Meet the folks behind 1 of the USA’s and 3 of Canada’s major contributors to disrupting and archiving contemporary live performance trends. Join SpiderWebShow Performance, HowlRound, Canadian Theatre Review and alt.theatre Magazine folks as they come to terms with performance and cultural trends and wrestle with how to stay relevant and make relevance today. Jamie Gahlon is a co-founder of HowlRound based at Emerson College, Boston, USA. She currently serves as Senior Creative Producer, running HowlRound’s day-to-day operations. Prior to her work at Emerson College, Jamie worked at Arena Stage, New York Stage & Film, and the New Victory Theatre. Jamie holds a BSFS in Culture & Politics from Georgetown University, and originally hails from the land of 10,000 lakes. She likes to dabble. Sarah is a playwright and performer based in Ottawa and currently Playwright in Residence at Great Canadian Theatre Company (2016-2017). She is co-Artistic Director of Calalou, a company dedicated to the development of stories by underrepresented communities. Recent works include her solo show Monstrous and its follow-up Griot! / Obruni (in development). Sarah holds a PhD in Francophone and Anglophone Afro-Caribbean Literature and has published in the fields of diaspora literature, trauma, the human rights humanities, and Afro-Caribbean cultural memory. Originally, from Montreal, Sarah is the Associate Artistic Director of English Theatre and Interim Facilitator for Indigenous Theatre at Canada’s National Arts Centre, and co-director of Selfconscious Theatre. Sarah co-founded The Baby Grand, co-created Women Making Scenes, and Die in Debt Theatre, and is a former AD of Buddies in Bad Times Theatre. She is Associate Professor in the Dan School of Drama and Music at Queen’s University where she teaches courses on dramatic literature, history, and theory. She is the author of Performing Autobiography: Contemporary Canadian Drama (University of Toronto Press, 2013), which received the Ann Saddlemyer Award from the Canadian Association for Theatre Research. He is currently the Executive Director of Generator, a mentoring, teaching, and innovation incubator that empowers independent artists, producers and leaders in Toronto. 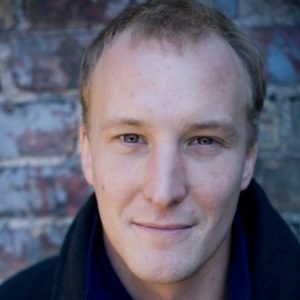 He has also worked as a co-curator of The Freefall Festival with The Theatre Centre, co-curator of HATCH emerging artist projects with Harbourfront Centre, and as a Neil Munro Intern Director at The Shaw Festival. Much of Michael’s work in the theatre has intertwined with online tools, as he operated and curated websites like PraxisTheatre.com, DepartmentOfCulture.ca, AfricaTrilogy.ca,, WreckingBall.ca and most recently SpiderWebShow.ca. He holds a Masters of Fine Arts from The American Repertory/Moscow Art Theatre Institute for Advanced Theatre Training at Harvard University. Vijay Mathew – Cultural Strategist, co-founder of HowlRound, based at Emerson College, Boston, USA. Vijay is privileged to assist a talented team by leading HowlRound’s development of commons-based online knowledge sharing platforms and the organization’s notions of cultural innovation. Prior to his current position, he was the Coordinator for the National Endowment for the Arts New Play Development Program for two years, as well as a Theater Communication Group New Generations Future Leader grant recipient under David Dower’s mentorship in new work at Arena Stage in Washington, DC. Vijay has a MFA from New School University in New York City and a BA from University of Chicago. He is a board member of Double Edge Theatre located in rural Ashfield, Massachusetts, USA. Twitter: @vijay_mathew, Email: vijay@howlround.com, Mobile/SMS: (+1) 917.686.3185.